Let’s start with our full names: The Britannia Steam Ship Insurance Association Limited and The Britannia Steam Ship Insurance Association Europe. It is quite a mouthful so we usually refer to the Associations, which are limited companies, as Britannia and Britannia Europe. When we speak about the business as a whole, we use “Britannia P&I” to represent both the Clubs and the Managers. You can find their respective details in full by clicking here. We provide both Protection and Indemnity Insurance (P&I) to ship owners and charterers and cover for Freight, Demurrage and Defence (FD&D). The ship owners and charterers we cover are known as Members, irrespective of which which of our businesses they are entered with. Britannia and Britannia Europe, which operate on a mutual basis, are limited by guarantee and are incorporated in England and Wales and Luxembourg respectively. We have no shareholders so Members agree to pay a nominal sum in the event that the company is wound up. The articles of association of the Clubs set out the terms under which we operate with our mutual status defined by the provisions contained in the articles and the rules of the Clubs. We have appointed Tindall Riley & Co Limited, through its wholly owned subsidiaries, Tindall Riley (Britannia) Limited and Tindall Riley Europe Sàrl, as the Managers who take care of our day to day business. We pay the Managers a fee to manage and provide these services. These fees are disclosed in the annual report and accounts of the Clubs. A new holding company, incorporated in England and Wales, The Britannia Steam Ship Insurance Association Holdings Limited (Holdings) is the controlling member of both Britannia and Britannia Europe. 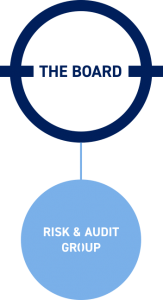 This structure ensures that we apply common procedures and policies, along with a consistent approach to the cover provided to Members to, solvency, capital management, risk, underwriting and claims handling. The Members’ Representative Committee (MRC) is now constituted in Holdings and is part of the structure set out below. The distribution of any reserves or other assets of the Associations. The governance structure of Britannia and Britannia Europe is set out below. 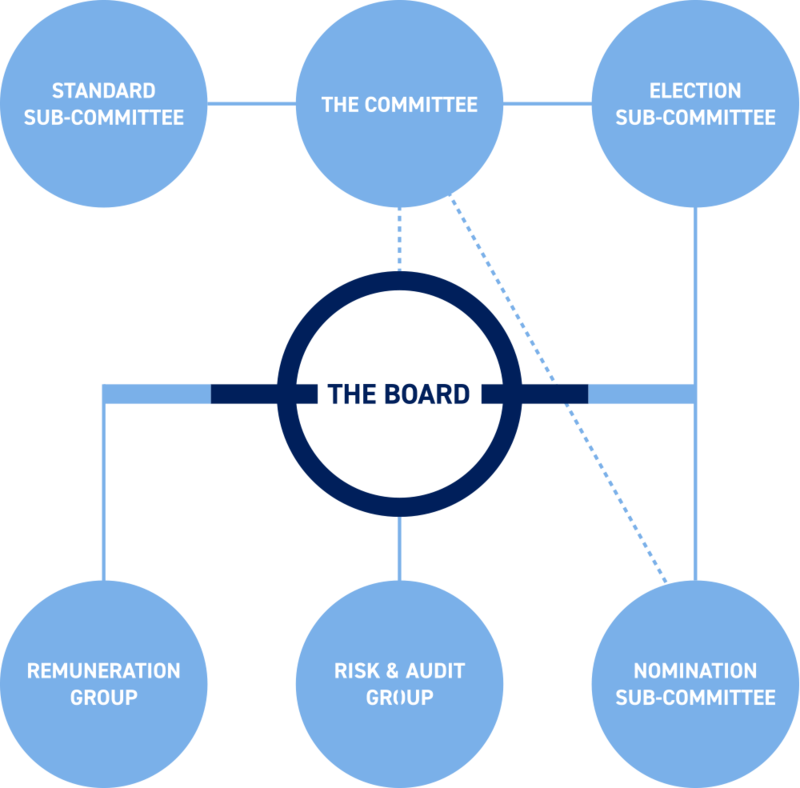 In practice, the boards devolve some of their authority to sub-committees and delegate day to day responsibility for the business of the Clubs to the Managers. The Managers are responsible for providing adequate information in a timely manner to allow the directors to discharge their duties and oversee the businesses effectively.